South Korean cinema isn’t generally known for martial arts-heavy, stylish action films. The action films that do well are mostly of the gangster genre with hyper-stylised violence, which should make first-time director Lee Seung-won’s martial arts extravaganza “Revenger” slightly unique. The film’s trailer promised us lots of action, excitingly choreographed fight scenes and a high body count, making for a welcome relief from the usual gun/knife action sequences. But is it? Well, yes and no. But let’s take it from the top. Somewhere in the Indian Ocean is an island simply called A-101. Shared by 12 Asian countries, the island is used as a prison where the worst kind of criminals are exiled to and left to their own accord. Ex-Interpol officer Kim Yul is arrested, sentenced to life on A-101 and sent to the island. He has one objective in mind – find and kill the mob boss known as Carlos Kuhn, who is responsible for the massacre of Yul’s family. Upon arriving, he rescues the mother-daughter duo Maly and Jin from Kuhn’s hoodlums, the former of who immediately recognises Yul as the man who put her on the island. Hesitantly, the “good” convicts on the island decide to get together with Yul as they all ultimately aim to bring Kuhn down, who now is the de-facto ruler of the island. The main question on anyone’s mind about “Revenger” has to be, “does it deliver on the action?” Thankfully, the answer is a resounding “Yes!” What sets the action in “Revenger” apart from its Indonesian cousins is that it doesn’t depend on flashy camera movements to get the action across. 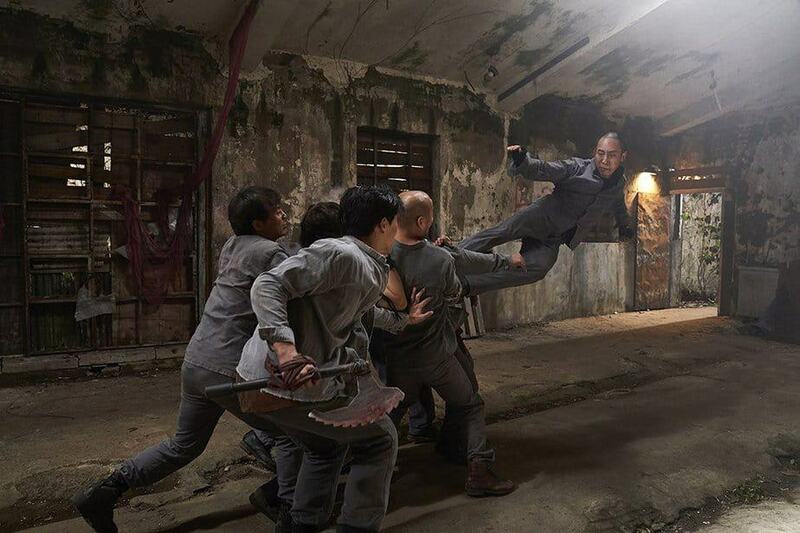 In that sense, the film harks back to vintage Hong-Kong films with the more traditional forms of martial arts. Weapons are sparingly used – mostly bows, arrows and machetes – but who needs weapons when hands and feet are just as lethal? The majority of the action sequences refreshingly use hand-to-hand combat with the camera not as involved in the action with its movements, for the most part. It also helps that the film’s cinematography is lush and pretty to look at. The island landscapes are wonderfully photographed and it is a joy to see the characters run around the place. This, however, is where the film’s positives end. The script, written by the film’s star Bruce Khan himself, is laden with A-101-sized plot-holes. Several key informations are unanswered or conveniently left out, leaving the audience smacking their heads harder than any punches or kicks to the head in the film. This also leaves the characters seriously under-developed. Most action films additionally work because of the intriguing side-kicks to the main villain. The two-machete hunchback baddie seems mildly interesting here but gets very little to do. It doesn’t help that the acting in the film is below average either. While Bruce Khan is exceptional in the fight scenes (no surprise, considering his past stunt work experience), his acting otherwise leaves a lot to be desired. In that sense, he reminds of early Donnie Yen performances. Yoon Jin-seo as Maly is equally stony-faced while the dialogues provided to Kim In-kwon, who is supposed to be the comic relief as Bau, are painfully cheesy. Park Hee-soon, the only widely known name on the roster, is relegated to a brief cameo appearance, for the most part of which he has his face completely covered in bandages. The film’s cinematography, along with the truly excellent martial arts action scenes, makes “Revenger” a fun film to have on in the background once in a while and watch for the mindless kicking, punching and killing going on on-screen. Look deeper into it though, and you’d sink through the many plot-holes faster than a rock thrown off A-101 into the ocean. When released, the film hardly screened in many places even in Seoul so a physical media release for the film looks highly unlikely, but it is good that Netflix decided to pick this film up so that action fans can have something new to venture into.